Governor, U.S. 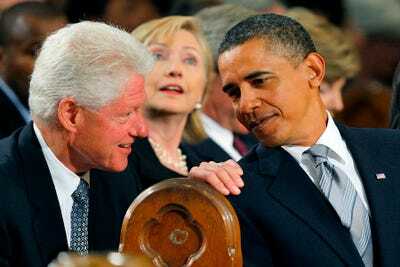 Senator, Secretary of State, President of the United States.These have all been titles held by Bill or Hillary Clinton, a political power couple who have been in the game for almost 40 years. 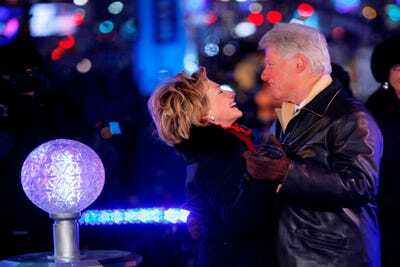 And with Hillary Clinton just finishing her time as Secretary of State and likely eyeing a 2016 Presidential run, it doesn’t look like the pair are heading into retirement any time soon. It’s been a long road for both, starting with Bill’s 1974 congressional run and culminating in his inauguration as President in 1992. 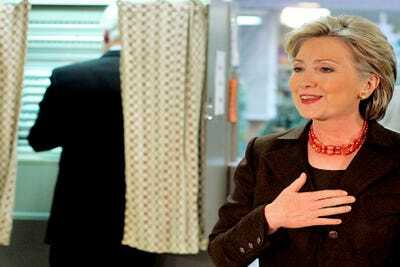 After leaving office in 2000, Hillary picked up the political baton and ran — winning the New York Senate race in 2000 and eventually running for President herself in 2008. Now we look back at some of the more interesting moments in the life of the perennial political power couple. 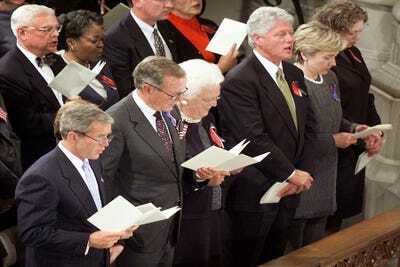 The couple burst on to the national stage on Nov. 3, 1991, when Bill announced he was running for President. Despite a busy campaign schedule, they showed some impressive multi-tasking. Here they are hitting the campaign trail in New York. 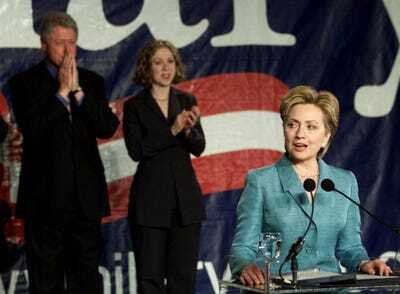 Although Clinton won big in southern primaries, it was his victory in New York that helped propel him to the Democratic nomination. 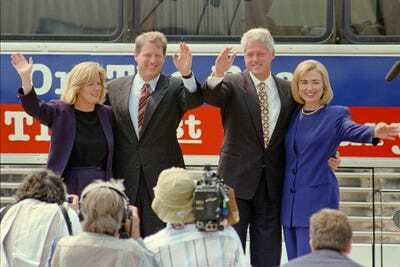 The Clintons hit the campaign trail with Bill's running mate Al Gore and his wife Tipper. Some down time on the campaign bus. 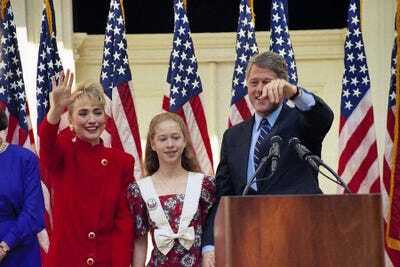 Celebrating with Chelsea on Bill's first Inauguration Day. 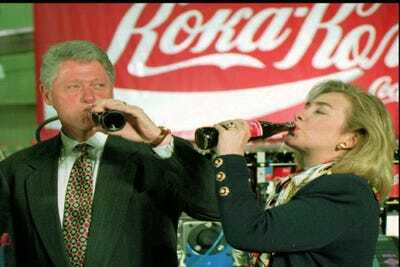 Here they are doing some 'product placement' at a Moscow Coca-Cola factory in 1995. 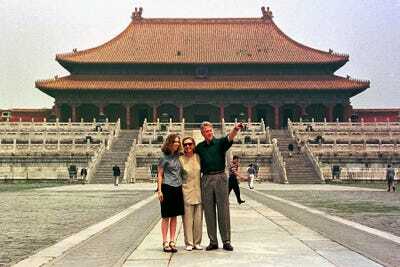 The Clintons take a trip to China in 1998. 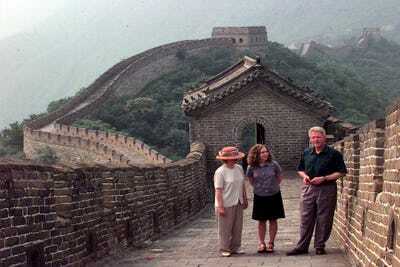 Here they are walking the Great Wall. 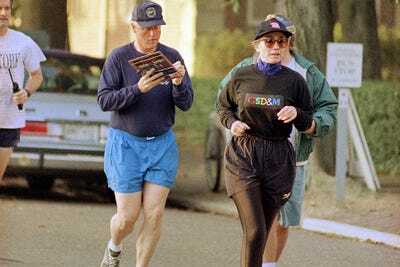 Hillary was a very active First Lady. 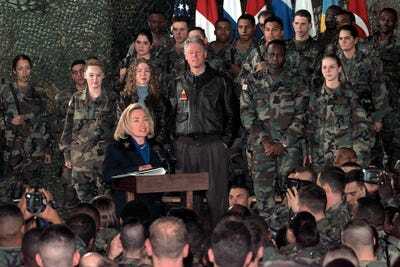 Here she is with Bill, addressing troops deployed overseas. 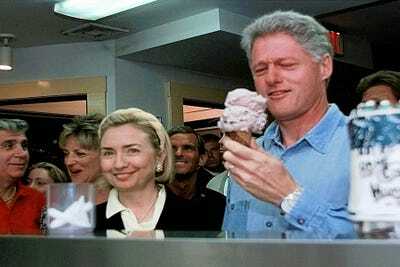 The Clintons didn't leave the spotlight after Bill left office. 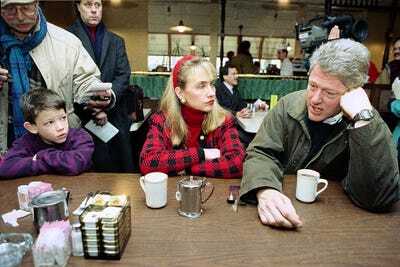 In 2000, Hillary was elected to the Senate in New York. Bet you can guess who Bill voted for. 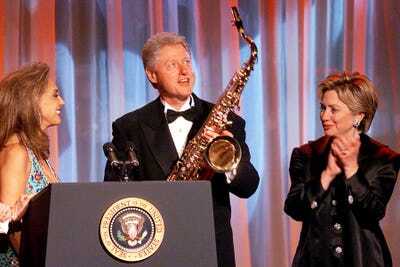 To add to his saxophone collection, Bill was presented with one at a fundraiser after Hillary's big win. There were also the rough times — the 9/11 attacks and their aftermath. 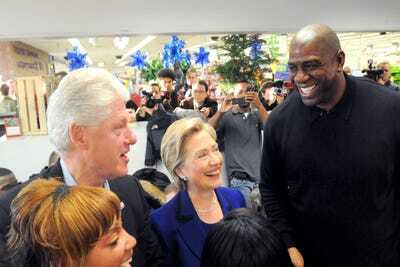 Bill was Hillary's most vocal supporter during her 2008 presidential campaign. And helped fire up some celebrity support. 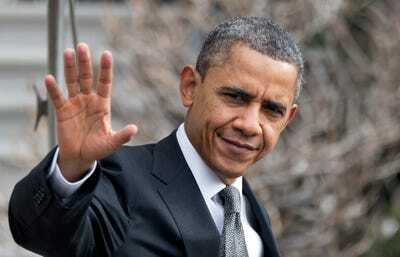 Eventually, the couple got over her primary rivalry with Barack Obama, and got behind his 2008 campaign. 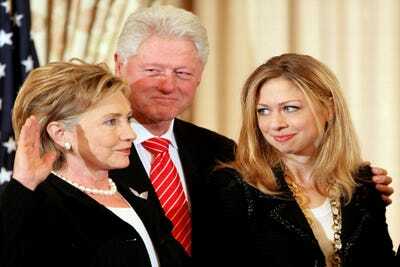 Bill and Chelsea proudly look on as Hillary gets sworn in as Secretary of State in 2009. 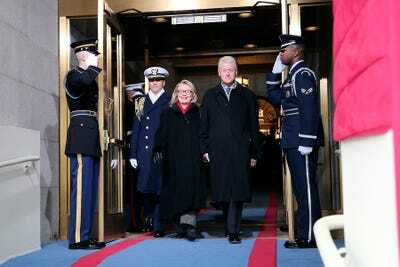 Hillary served as top diplomat until Feb. 1, 2013. 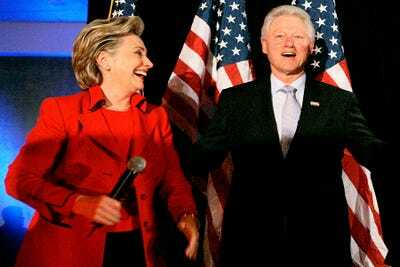 But the Clintons could be back in the West Wing in just four years — this time with Hillary in the Oval Office.